Is your university, company, team, or church looking for group transportation? 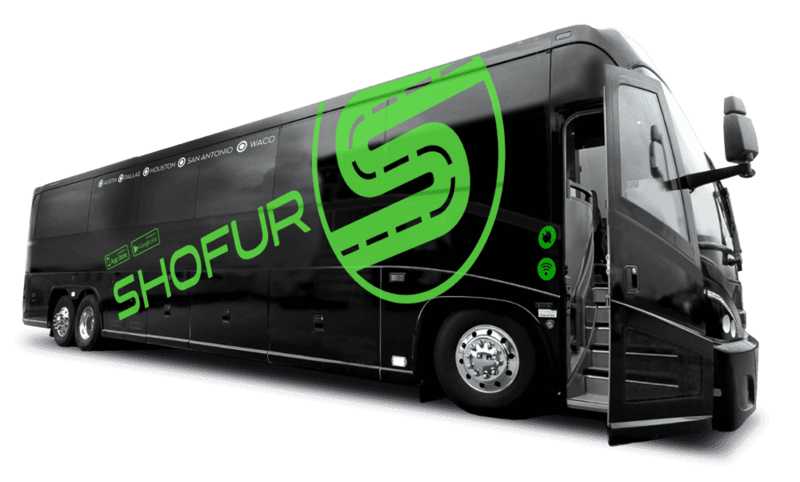 Shofur is linked to the most charter buses in Kansas City, MO. We'll arrange for the most modern buses to pick you up anywhere in Kansas City, and take you anywhere across the US. Please give us a call and a Shofur representative will take care of you! Every major U.S. city has its uniqueness, but only Kansas City spans two states. Depending on which side of the river you're on, you're either in Missouri or Kansas. Each of the two states has its own city government and city services. Multiple bridges span the Missouri River, which forks at the point the settlers chose for the city. With two cities in one, it's double the fun, but double the driving stress. Quirky fun describes this city to a tee. It's full of museums with collections you've probably never seen. Visit the Airline History Museum to see the beginnings of commercial flight, including the paper dresses TWA flight attendants wore in 1968. While you get peanuts now, in the 60s airlines distributed cigarettes. Equally intriguing, the Toy & Miniature Museum features CSI worthy displays including one - viewable under microscope - of two fully dressed fleas. Other exhibits include the world's smallest marbles and two working miniature dueling pistols. They measure one-inch long. In 1856, the steamboat Arabia sank in the river running through this fair city. In the River Market, you'll find the Arabia Steamboat Museum. Although no human lives were lost, you can see the skeleton of the mule who perished. Other exhibits include food and artifacts from the shipwreck. Between the two sides of the city, the restaurant and bar choices seem endless, but don't miss the chance to visit Kansas City's first bar and grill, The Peanut Dive Bar and Downtown Hideout. It's reputed to have the best wings ever and boasts a relaxed, friendly atmosphere... and beer. The locals go here, so you know it's got to be good. Try the juicy burgers and homemade chips at Pigwich. It's known as "Heaven in a Food Truck" because it uses locally sourced meats to craft its cheese steaks and burgers. It's parked behind The Local Pig, a butcher's in the East Bottoms district. Breathtaking begins to describe the city views from Kaw Point on River City Drive. While you're in town, stop here and just enjoy the view. If you go at night, you'll see the city lights reflected on the waters of the Missouri River. For daytime explorations, check out the ghost town inside the big city... West Bottoms. The area was largely abandoned in the 1950's following a major flood that damaged most of the businesses. In a few spots, there's gentrification happening, but most buildings remain empty. For a radically different view of the city, take a walk through Cliff Drive, one of the oldest and wealthiest neighborhoods. Don't worry. They're used to people walking by to gawk at their castles. If you'd like some thrills, visit Worlds of Fun, an amusement park full of thrill rides. Be sure to ride the Mamba, an elite class roller coaster, that's one of the longest, fastest, tallest roller coasters in the world. Sky coaster provides another kind of thrill. It boasts an 189-feet tethered free-fall. Riders wear a full body harness to ensure safe positioning. Worlds of Fun has an entire planet for little kids - Planet Snoopy. It's full of rides the smallest children can enjoy. Baseball fans can catch a Kansas City Royals game if you're in town during the season. Art lovers find First Fridays a welcome day each month. The first Friday of each month more than 10,000 art lovers visit the Crossroads district's more than 20 art galleries, each open to the public. You'll find the streets lined with food trucks, music and dance performers, and wine service. Let us show you the sites and chauffeur you from door to door. Enjoy the food and drink because we're your designated driver. Our drivers are local to the area and share tidbits of history, information and humor that adds to your trip. Let us show you every corner of Kansas City. How much would it cost to rent and charter bus from Kansas City to Las Vegas? Also, do you know how long it will take for a bus to get there? ? A charter bus from Kansas City to Las Vegas is around $11,888.80. Pricing is subject to change dependent on availability and time frame. The timing I am showing to go from Kansas City to Las Vegas is 19hrs and 30min.